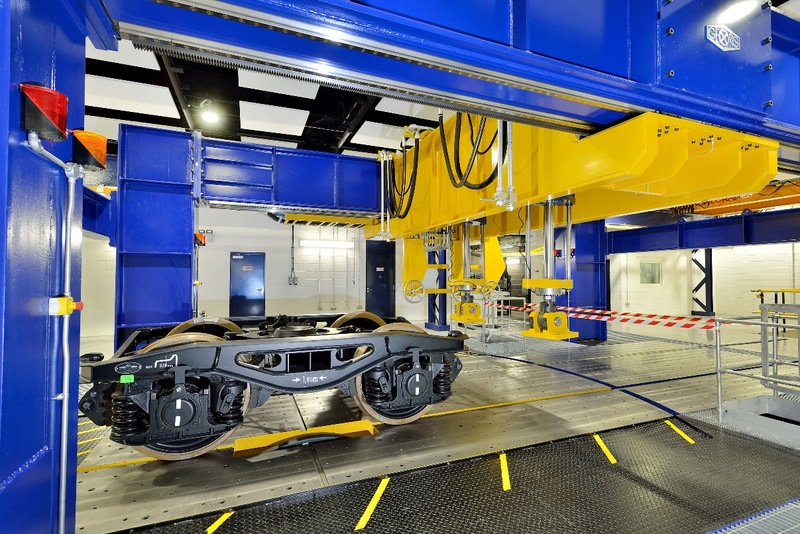 The Institute of Railway Research is preparing to conduct extensive life testing on its innovative lightweight railway bogie made from recycled carbon fibre material. Railway vehicle bogies made from recycled carbon fibre could lead to major savings for operators, with a 50 per cent reduction in weight meaning a huge reduction in track wear and energy and maintenance costs. Now, a research team at the University of Huddersfield will carry out exhaustive tests to ensure that the concept can fulfil its potential. The University is home to the Institute of Railway Research (IRR). It has joined a consortium that includes ELG Carbon Fibre, which has developed cost-effective means of recovering carbon fibres from manufacturing waste and end-of-life components, and Alstom Transport, a rolling stock vehicle manufacturer and maintainer and the Sensors and Composites Group, University of Birmingham. The consortium chose Magma Structures as their preferred manufacturer. Magma has produced carbon composite masts for some of the world’s largest superyachts and specialised carbon pipes for the highly-regulated offshore industry. The Rail Safety and Standards Board (RSSB) launched a vehicle dynamics competition, and the optimised lightweight carbon fibre bogie frame project was a winner, so that £1.25m of funding was made available to design and manufacture a prototype bogie for a rail passenger vehicle. The University of Huddersfield’s IRR helped with its specification and it will be constructed by Magma using recycled carbon fibres from ELG. It will then be tested by the IRR in the first half of 2019, using its sector-leading facility named HAROLD (Huddersfield Adhesion and Rolling contact Laboratory Dynamics rig). The process will take several months and will include a fatigue test consisting of a million simulated load cycles. “This is the first time that recycled fibres have been used for a bogie frame,” said the Institute’s David Crosbee, a rail vehicle dynamics expert who will be lead engineer for the test phase of the project. The use of carbon fibre as opposed to steel will have advantages that include reduced maintenance costs and weight reduction, meaning lower track access charges, he added. “We will be characterising the frame’s stiffness and using the results of our tests to validate the design” said Mr Crosbee. Other potential benefits of carbon fibre are also being investigated. The team from the Sensors and Composites Group based at University of Birmingham will be installing fibre optic strain/temperature sensors into the carbon fibre structure of the bogie, providing embedded condition monitoring.